Delicious Moo Goo Gai Pan recipe that tastes like it came straight from the restaurant. 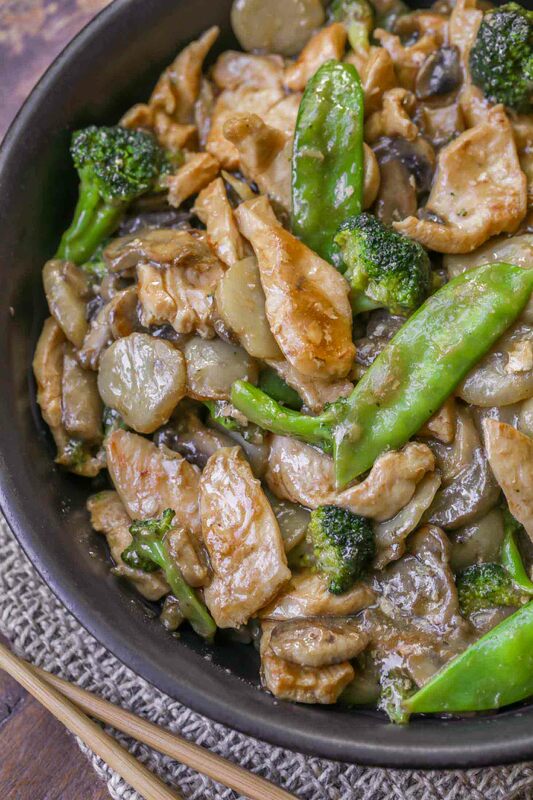 It is filled with chicken, snow peas, broccoli and mushrooms and is covered in a delicious Asian sauce. Moo Goo Gai Pan. Such a funny name but one I have always remembered because it’s one of my mom’s favorite recipes to enjoy whenever we go out for Asian food. So, what is Moo Goo Gai Pan? Moo goo gai pan is the Americanized version of a Cantonese dish, usually a simple stir-fried dish consisting of sliced or cubed chicken with white button mushrooms and other vegetables. As with most dishes, this can be customized to your liking so adding or omitting veggies is totally up to you! It’s great on it’s own or is also great served with rice or noodles. No matter how you have it, we think it will be enjoyed! Keep your stir-fry pan consistently hot and do not overcook the chicken. Getting evenly thin sliced chicken: Freeze the chicken breast for 20 minutes or until firm but not frozen. Remove from freezer and cut against the grain into even strips. 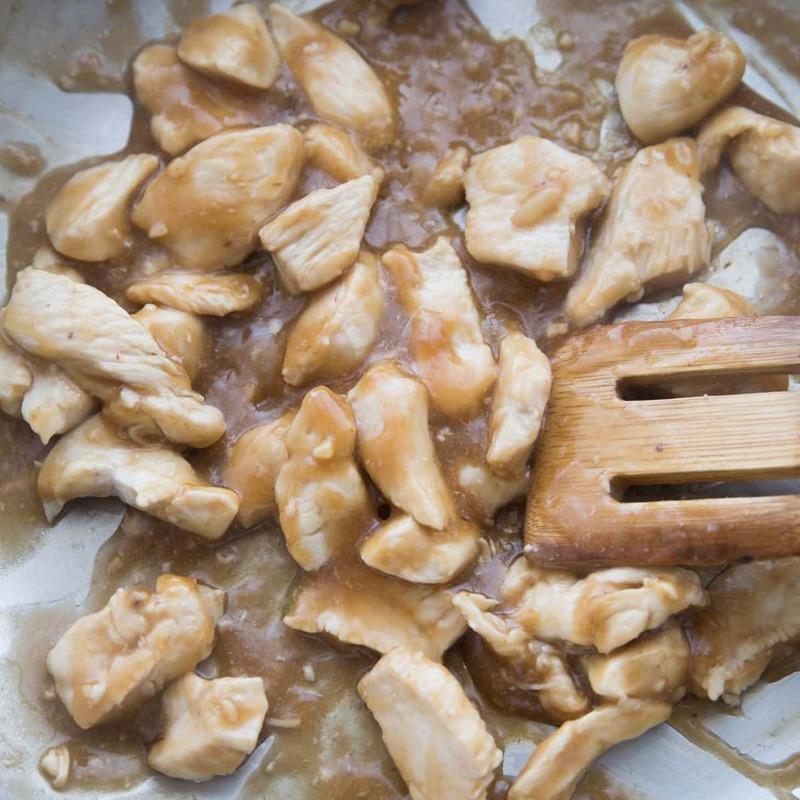 How to reheat moo goo gai pan? 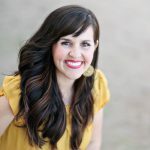 Store any leftovers in an airtight container in the fridge for 3-4 days. 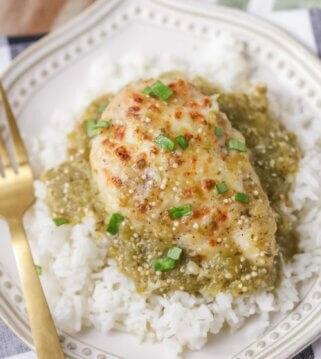 To retain the best flavor and texture you’ll want to reheat on the stove top. 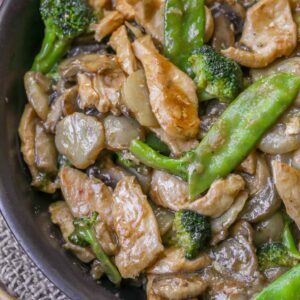 Put 1 tsp of oil in a stir fry pan, dump in leftover moo goo gai, stir while heating, remove when it reaches the desired temperature. If you’re in a hurry you can also reheat in the microwave. Heat in 30 second intervals, stirring between, until hot. 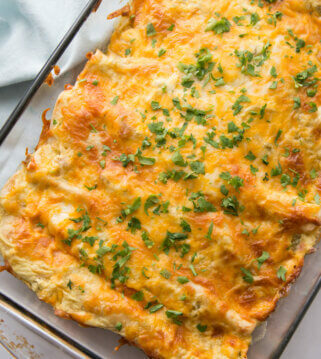 This is also a great dish to make ahead and store for lunches through out the week. We will make a batch and put in different tupperware containers to enjoy over the next few days for a quick lunch. Classic Moo Goo Gai Pan also has bamboo shoots, but we omitted those and added snow peas. You can change it up by adding your favorite veggies too! So much flavor in this dish! We hope you love it! 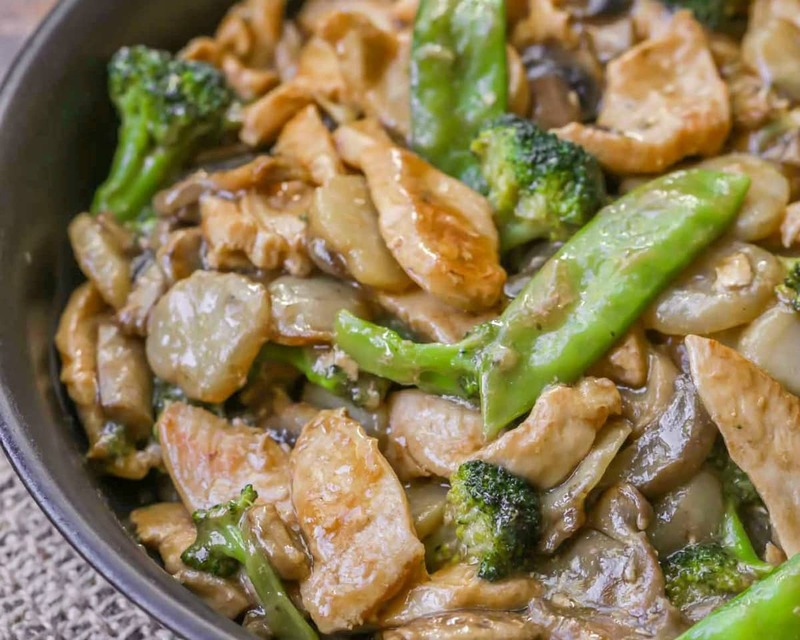 Moo Goo Gai Pan - one of our favorite dishes that is filled with flavorful chicken, broccoli, snow peas and more. Heat 1 tablespoon of vegetable oil in a wok or large skillet over high heat until it begins to smoke. 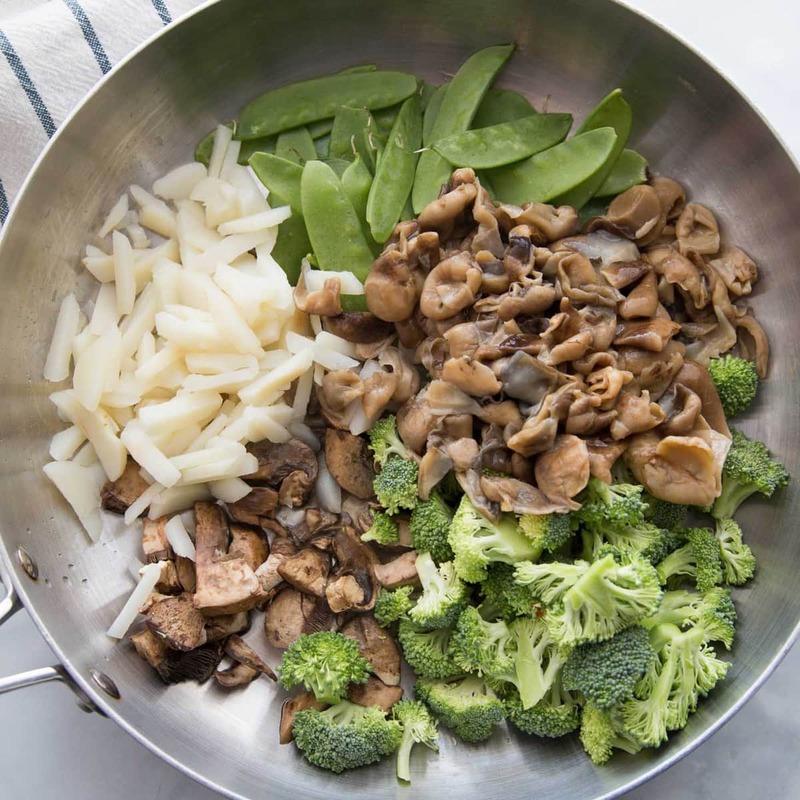 Stir in the fresh mushrooms, broccoli, water chestnuts, snow peas, and straw mushrooms. Cook and stir veggies for about 5 minutes. Remove veggies from the wok, and set aside. Clean off the wok/skillet. 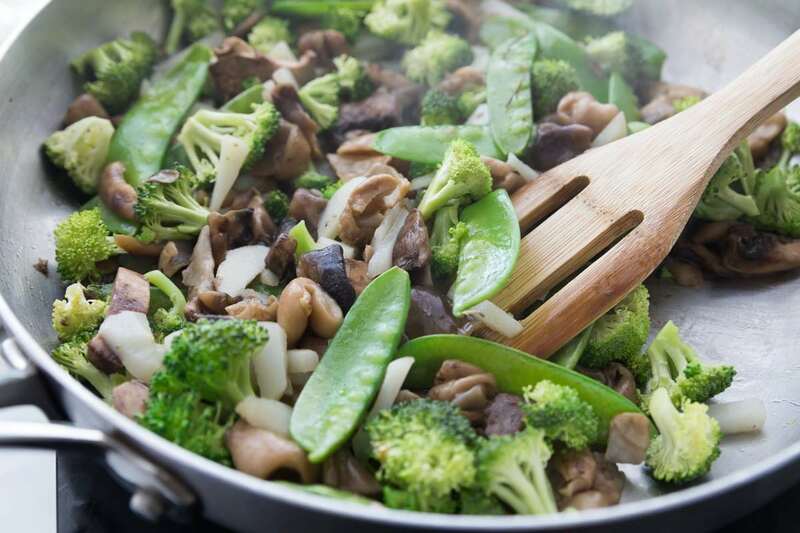 Heat the remaining tablespoon of vegetable in the wok until it begins to smoke. Stir in the garlic, and cook for a few seconds until it turns golden-brown. Add the chicken, and cook for about 5 minutes or until there is no pink in the center of the chicken. In a small bowl, stir together cornstarch, sugar, soy sauce, rice vinegar and chicken broth. Pour over the chicken, and bring to a boil, stirring constantly. Boil for about 30 seconds until the sauce thickens and is no longer cloudy. Return the vegetables to the wok/skillet, and toss with the sauce until all coated. Serve immediately and ENJOY! This dish has all my favorite ingredieNts. 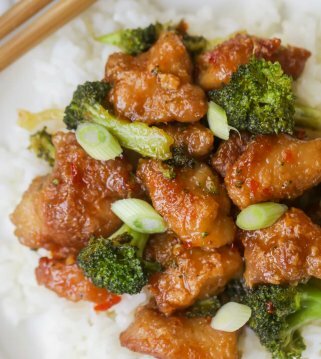 I love chinese food because its always loAded with vegetables and this dish taste pretty authentic! we love Asian food & this was incredible! we left the mushrooms out, but other than that, it was a hit! 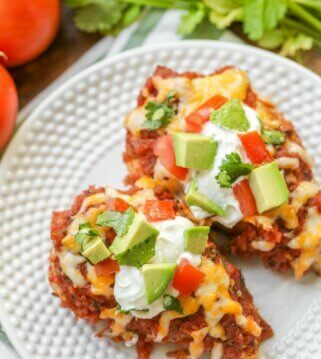 Love trying something new for dinner and this was a huge hit with the whole family. 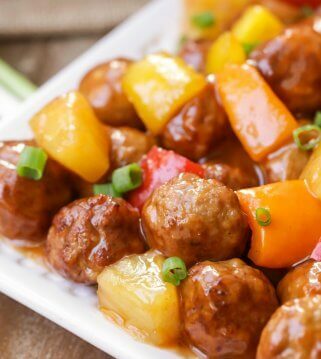 No more take out with this yummy dish. My favo is goo goo gai pan. Oh my gosh I loved this! THank you so much!